Published on December 4, 2010 in corruption, General T&T, International and Sports. 30 Comments Tags: England, FIFA, Jack Warner, World Cup. The English Football Association and other commentators who are fuming because England was not successful in their bid to host the World Cup in 2018 have exposed the extent of Britain’s corruption all the way to Buckingham Palace. Published on July 16, 2010 in Business, Drug Trade, Finance, General T&T, International, Media, People's Partnership, PNM, Politics and Security. 8 Comments Tags: British Aerospace, England, Kamla Persad-Bissessar, OPV, Vosper Thornycraft. 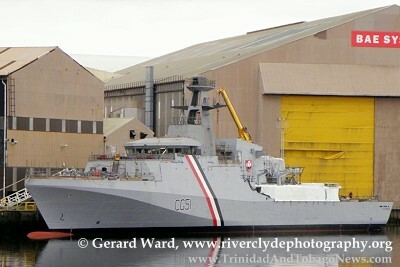 WE eagerly await the report recently promised by Prime Minister Kamla Persad-Bissessar on the former regime’s purchase of three Offshore Patrol Vessels (OPVs) that are said to cost $1.5 billion, which would work out at $500 million each.